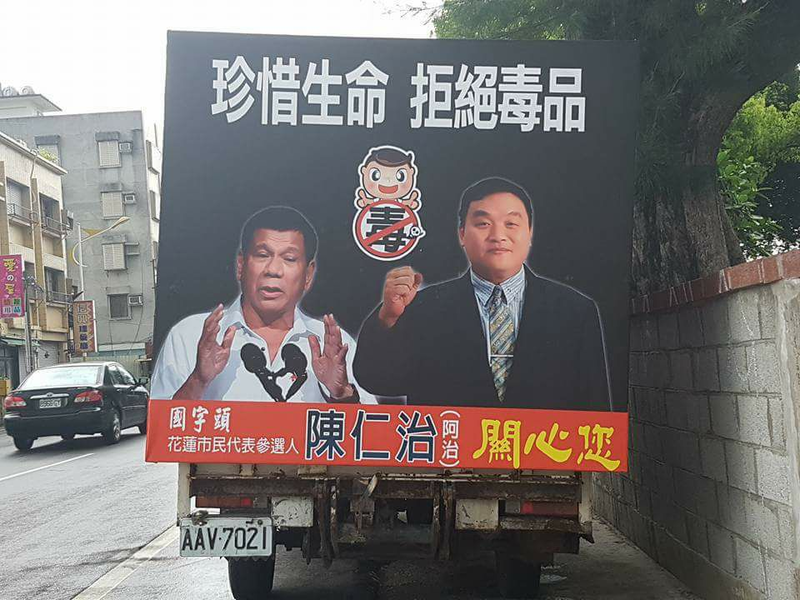 President Rodrigo Duterte's image was used by a politician in Taiwan in as a face in his anti-illegal drugs campaign. 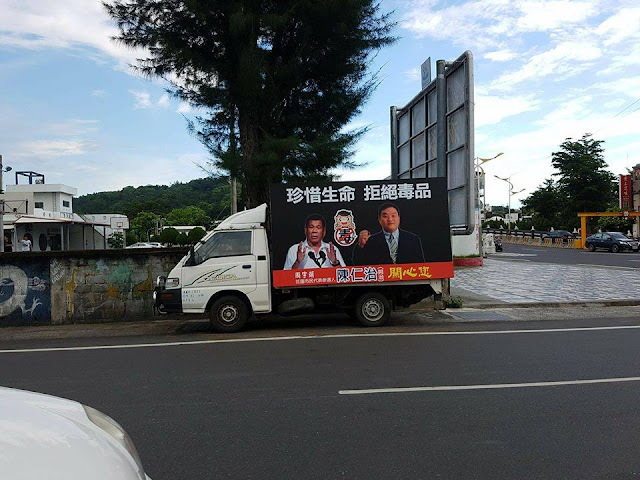 Facebook user Nieviv Sucuaje posted pictures of the ad, featuring Duterte's image next to the politician, on a mobile billboard in Hualien. 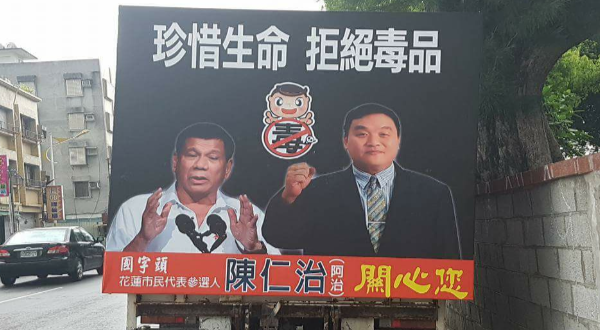 The advertisement shows the picture of Duterte beside the politician and along with it is the Taiwanese caption, which translates in English as "Value life, say no to drugs". Taiwan and the Philippines consider each other partners in the fight against big-time drug trafficking. 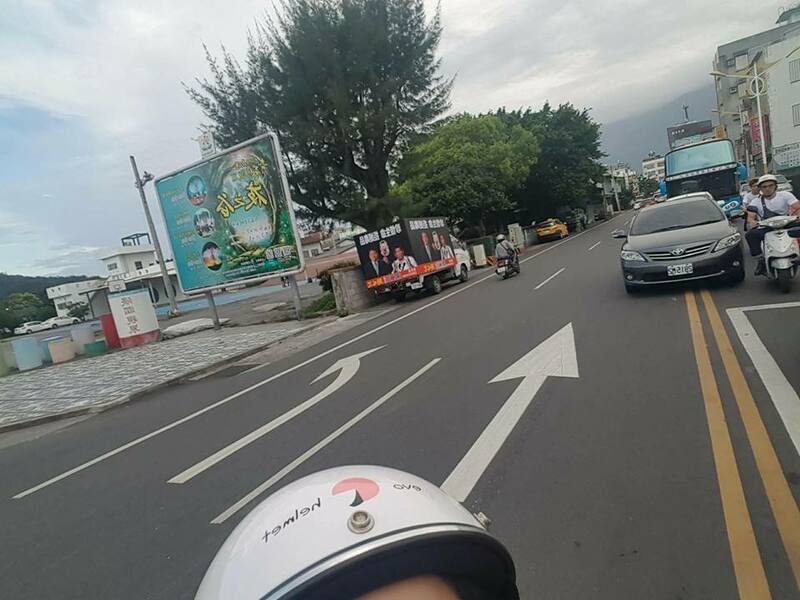 Taiwan's representative Dr. Gary Song-Huann Lin has denied allegations that his country exported illegal drugs to the country. This was after Duterte claimed that the Bamboo Triad, the alleged Taiwan-based drug triad that had been supplying illegal drugs in the Philippines, with connections with terror groups in the country. Sucuaje captioned the photo in his post, "Wow oh, sikat c tatay dto sa Taiwan. Para sa coming election nila. CHERISH life to refuse drugs," he said. The blogsite Pinoy Thinking in reaction to the photo, said that this is a sign that the "world is accepting how our president is handling the drug problem" to the point where foreign politicians use his image to get votes. 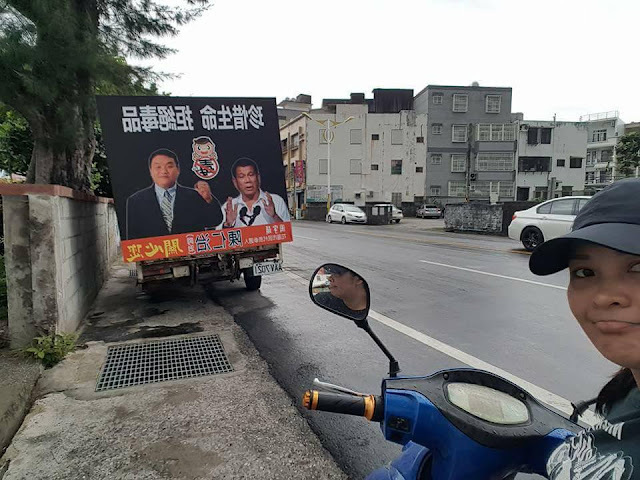 It added that this means that Duterte's image is used as something positive in Taiwan, a country which is considered as a "rebel province" by China. "Doesn't this make you proud as Filipino?" it said.